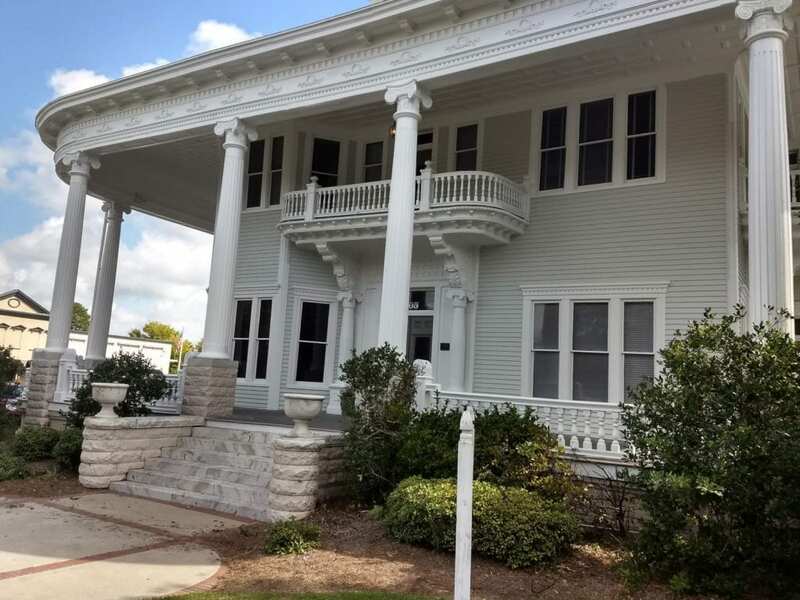 The Converse Dalton-Ferrell home is the epitome of elegant southern homes. Although it escaped the ruinous urban renewal projects of the mid-20th century, it did pay a price. Most of the surrounding grounds were sacrificed to commercial buildings and parking lots. This makes what survived more precious. 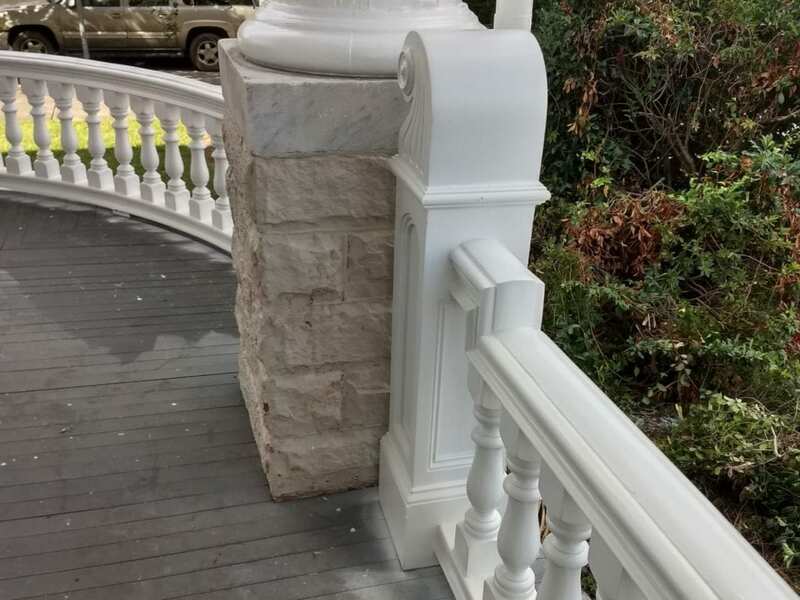 Souths Finest has worked extensively on many components of this historical home’s ornate façade. 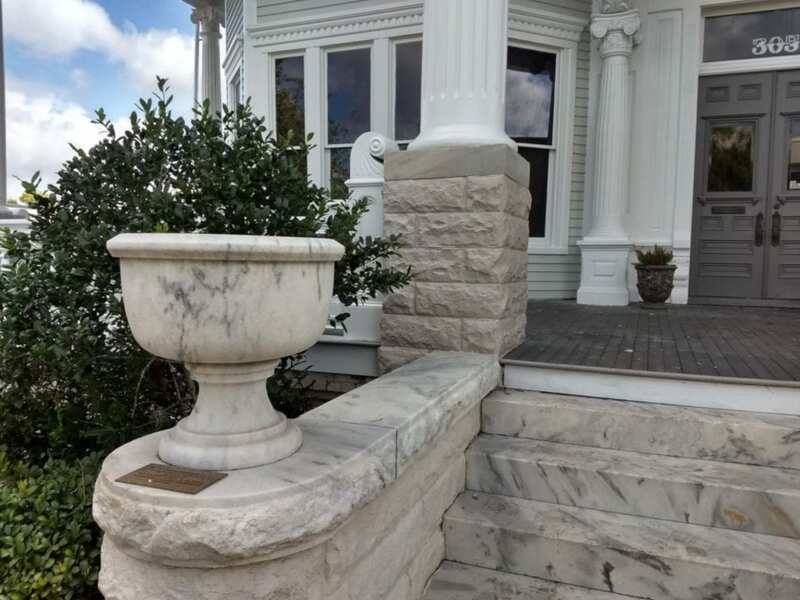 South’s Finest restored two original styles of the eroding Corinthian capitals, copied them and reproduce all the Corinthian acanthus leafed capitals in FRP. 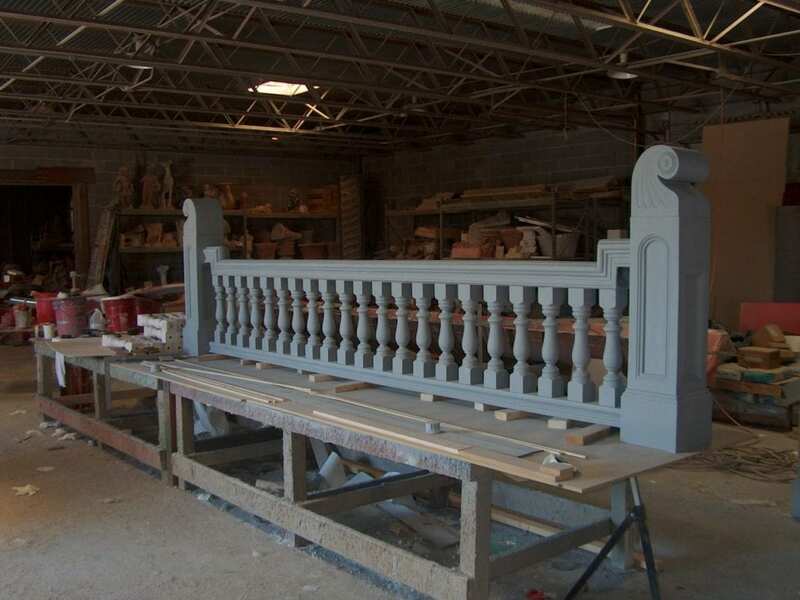 South’s Finest restored copied and fabricated the entire balustrade system. 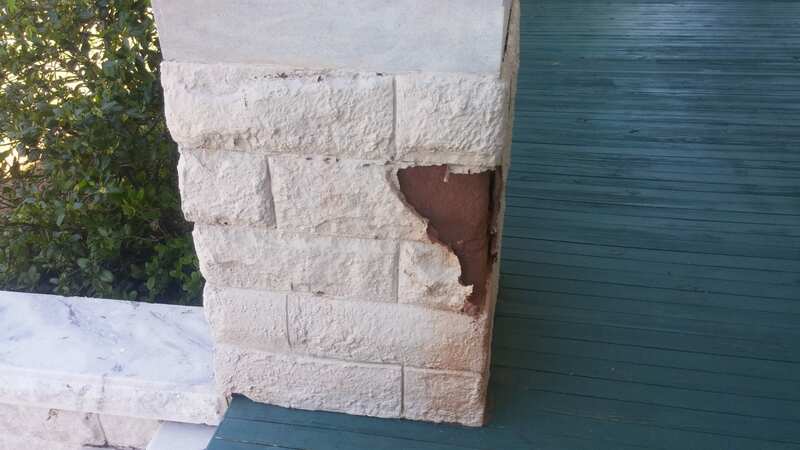 We copied the original blocks and restored the two eroding plinths at the entrance with FRP copies. 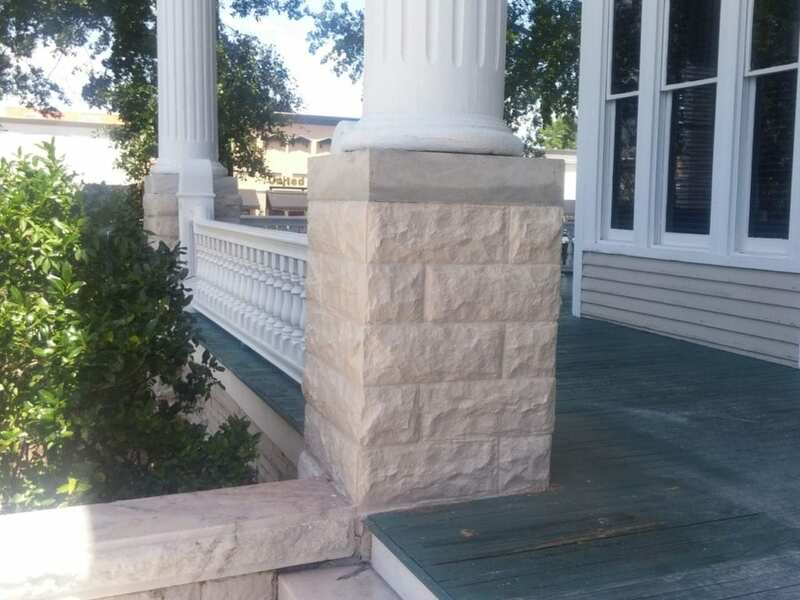 The south side balustrade was lost to an encroaching building on the home. This is a cautionary example of the need to be vigilant in preserving a building of historic significance. 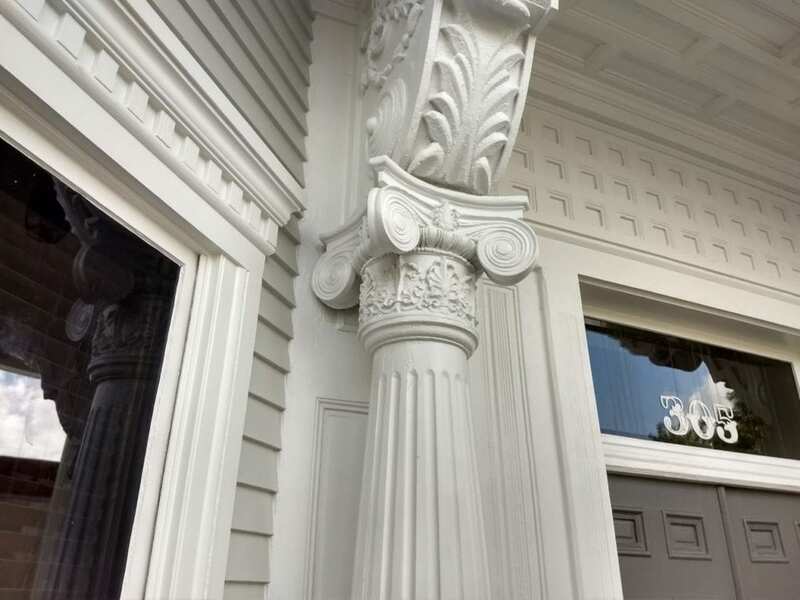 We restored one of each of the two sizes of eroding plaster capitals. 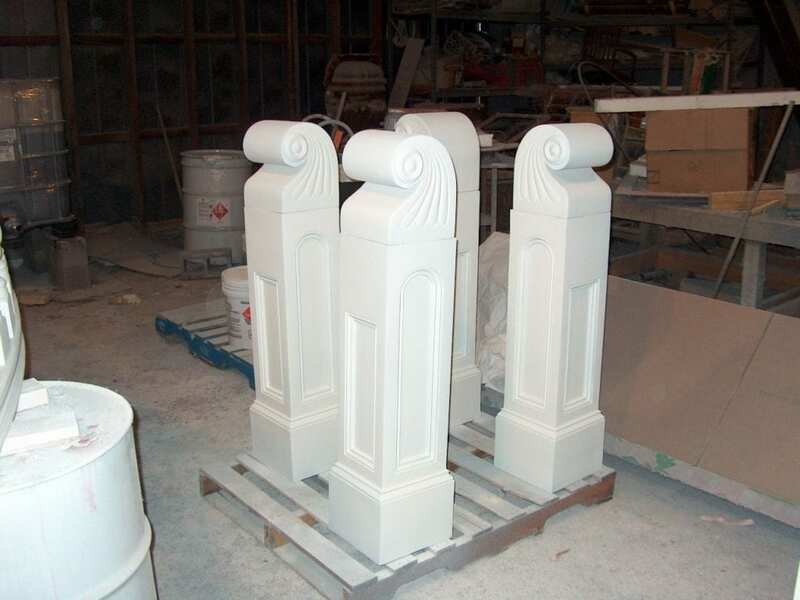 We copied the restored originals in silicone molds to reproduce all the original Corinthian Capitals in new FRP. 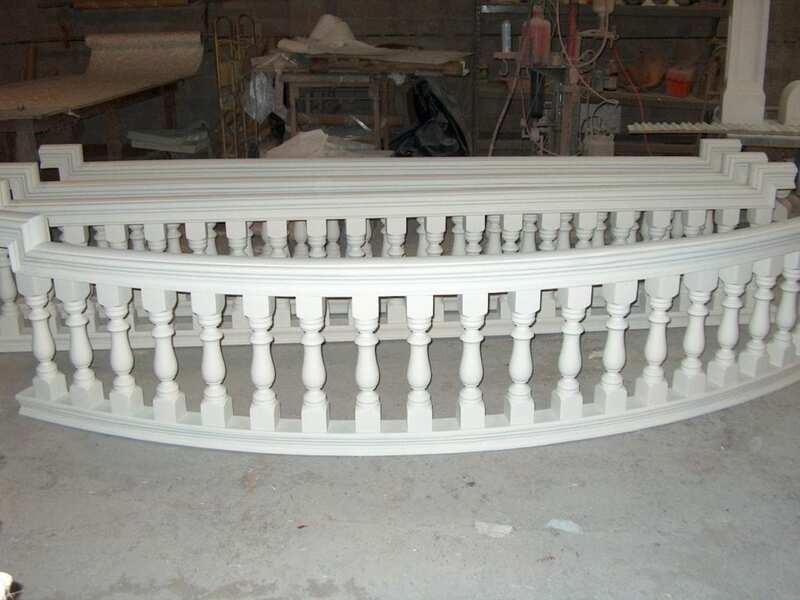 We also copied and replicated the entire balustrade system (which includes newel post, balusters, and upper and lower railings). 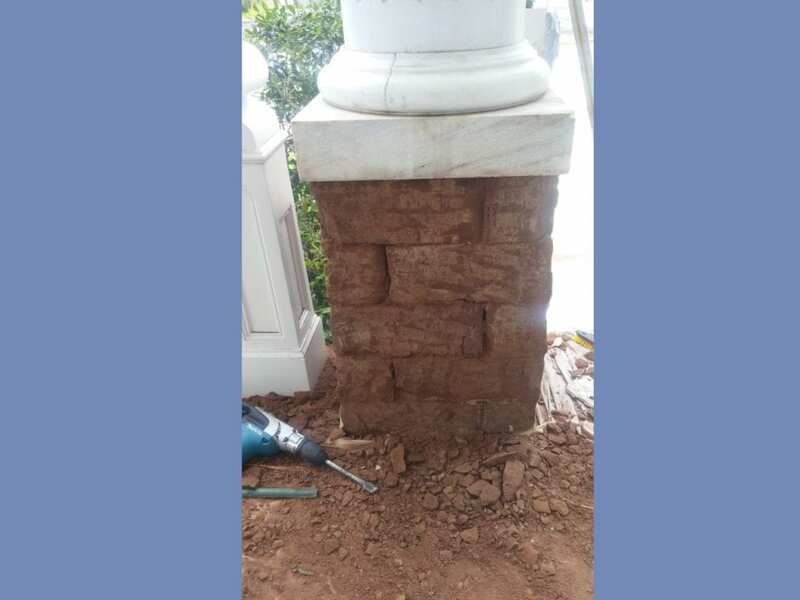 We are currently reproducing, in FRP, the sandstone plinths that have deteriorating surfaces which are the base for the columns.